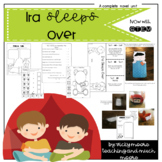 A grahpic organizer mobile for Ira Sleeps Over by Bernard Waber. This graphic organizer helps students to identify the main idea and details of a story in a fun way. A great addition to any author study. 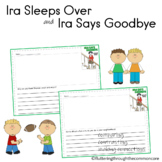 Teach Personal Narratives, Compounds Words and more with Ira Sleeps OverMy students LOVE Ira Sleeps Over by Bernard Waber! I love using it to teach them important skills like personal narrative writing, compound words, text to self connections, and theme along with basic story recall and character. 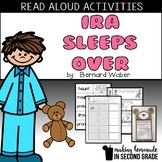 Fun learning activities to go with Bernard Waber's "Ira Sleeps Over". This story companion contains a game, printables and several writing activities. Perfect for ages K-2.This unit is also part of our Color Bears unit focusing on the color orange! 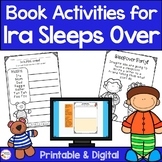 Ira Sleeps Over by Bernard Waber: A Complete Literature Study! 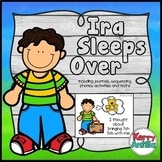 This essay is an on demand, reader response essay for the book Ira Sleeps Over. It asks students to display understanding of making predictions. Perfect for test prep!!! 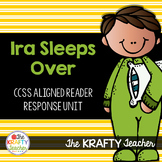 Use Little Novel-Ties® study guides as your total guided reading program. Reproducible pages in chapter-by-chapter format provide you with the right questions to ask, the important issues to discuss, and the organizational aids that help students get the most out of each book they read.